Here at Outdoor Revival we’re always on the lookout for good gear, innovative ideas and sometimes just plain ‘Oohhh, that’s shiny!’. We spotted the Firebiner and thought it was cool enough to look at further and tell you all about it. It’s a crowd-funded project on Indiegogo so you have the opportunity to get them at a cheaper price if you support the project. Who doesn’t love a good carabiner? What can your “biner” do? Can it open bottles? Cut cord, string, whatever? Tighten or loosen screws? Hang keys from a separate slot, out of the way of the main clip area? Start a fire? Really, the Firebiner starts a fire. I promise. Check it out. 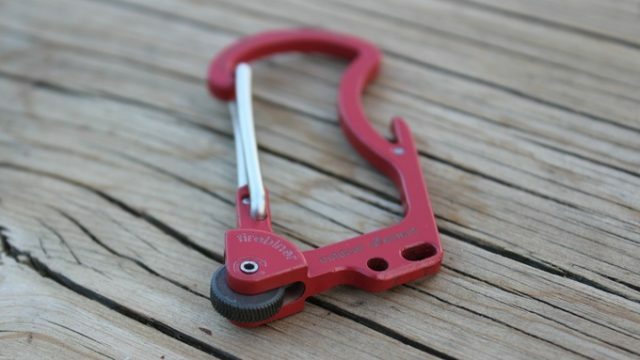 Firebiner: Your everyday-carry survival carabiner. We all love a good carabiner. We use them to clip our keys, our camera, our water bottle, or a myriad of other products to our backpacks, to shelves, to fences, to belt loops or to whatever we need at the moment. 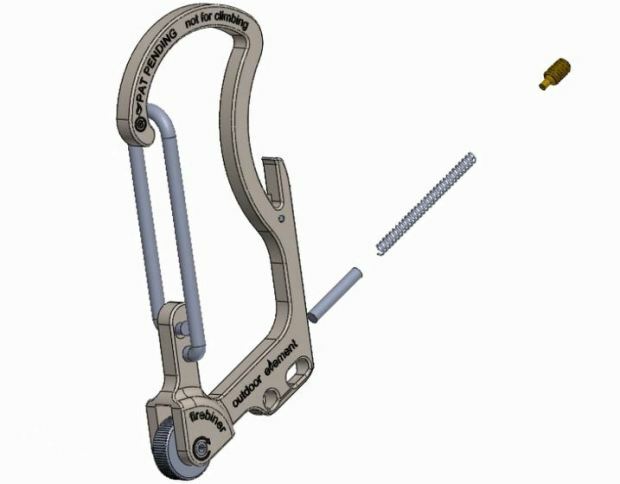 You want your carabiner to be strong, lightweight and maybe have some other functionality like a bottle opener. The Firebiner is all that PLUS it has the ability to make fire easily with the patent-pending EverSpark technology. 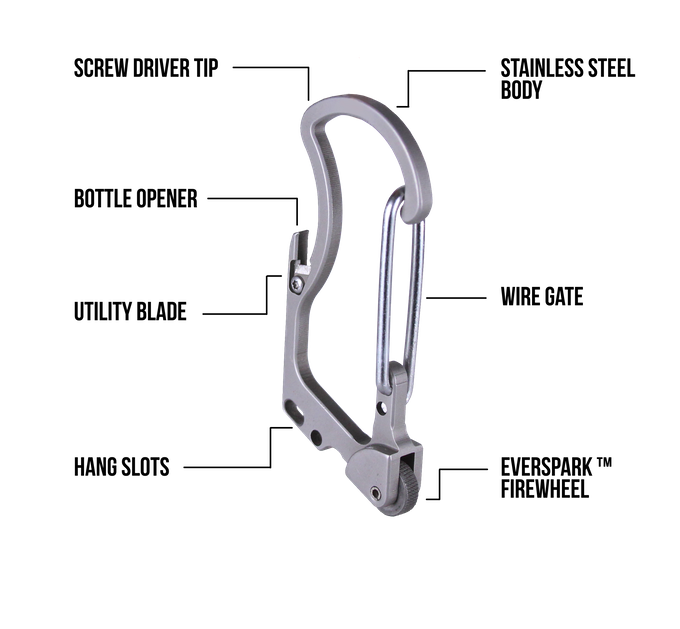 It has a titanium-coated stainless steel body construction rated for up to 50 pounds of gear (not for climbing or hanging anything with a beating heart). And, don’t forget the small utility blade. We even designed in a screwdriver tip for the next round of prototypes. Having a replaceable ferro rods means this Firebiner will keep on sparking. 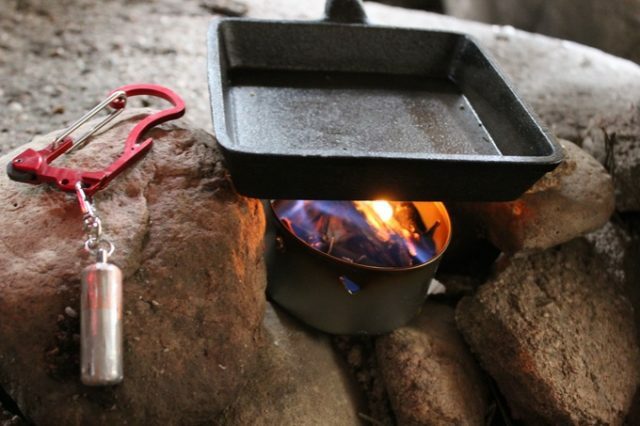 The Firebiner isn’t just for survival; it’s for everyday use. We are Outdoor Element, but you have our permission to go indoors as well. The Firebiner helps create fire, so be careful and responsible (you can thank our lawyers for that one). We love this sort of thing on Outdoor Revival and we’ll be bringing you a lot more of it over the coming months, if you’ve seen something cool you think we should tell our readers about then let us know, or if you have a good story or blog let us know about it on our FB page, we’re also happy for article or review submissions.